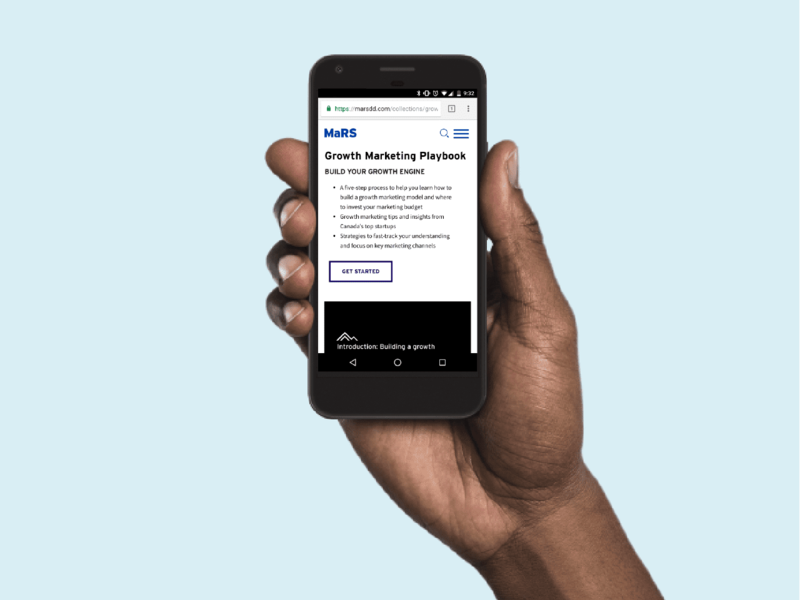 What is the Growth Marketing Playbook? It’s an open resource with three layers for exploring customer growth. 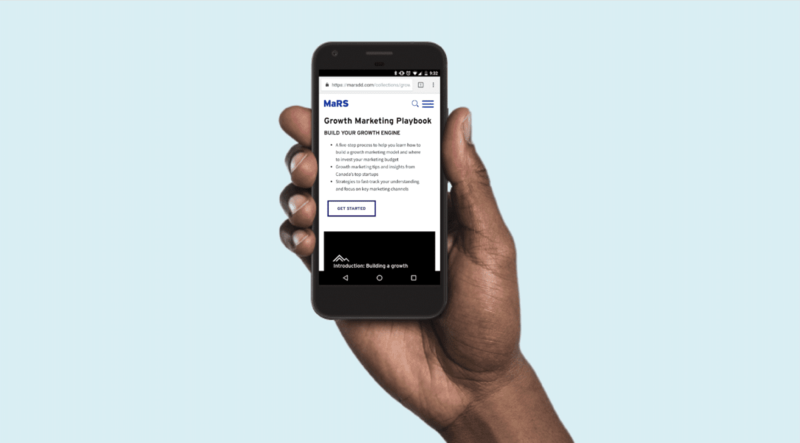 The playbook merges the strategic thinking of a full-stack marketer, the insights of Canada’s top growth experts and the lessons of community-driven marketing experiments. Startups can use it to understand the fundamentals of developing a sustainable customer growth model. Our simple set of steps can help you experiment with different marketing channels to gain traction. This process is guided by Nathan Monk, an advisor with MaRS Venture Programs and a full-stack marketer who developed the MaRS Grow Camp program. The playbook offers an opportunity to learn from some of the people who inspire us in growth marketing and to explore how to build a repeatable growth model for your company. Our five-step growth strategy process is adapted from Gabriel Weinberg and Justin Mares’ book, Traction. The framework is designed to allow your team to take clear action within multiple marketing channels. It features the experiences of 20 growth experts from companies such as Google, Shopify and HubSpot. Commit to setting up the process over several weeks (or even months) to fully develop the framework enough to start seeing results. Use the playbook to learn the step-by-step process, to collect your thoughts and case study examples, and to tell us about your discoveries along the way. We strongly believe in approaching growth strategy with an open and collaborative process. The playbook is designed for founders to go through with their teams. It is applicable for startups working to reach product–market fit. We invite you to use our latest resource. Start the journey here. If you’re interested in contributing to the next version, please fill out this form and connect with us. Over the coming weeks and months, we’ll publish updates to the playbook, so keep checking back. The Growth Marketing Playbook started as a complementary resource to the MaRS Grow Camp program. We’re curious to know what you think of it. Send us an email at toolkit@marsdd.com or hit us up on Twitter. We can’t wait to chat with you.